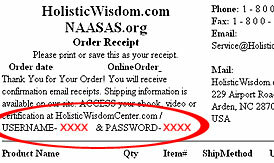 When you place an order we ask for your email so that we may send you your receipt and ebook access. If you did not provide an email address, you will need to contact us to have it sent. Access information is on the receipt that was shown directly after you placed your order as well as in the receipt that was automatically emailed to you right after you placed it. 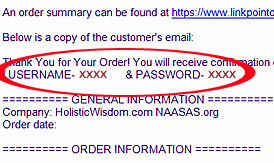 You will need your online order number, your login and password. We thank you for your business, and look forward to serving you again in the near future!